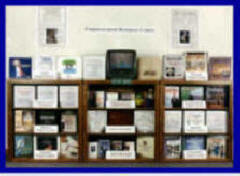 Vision, Mission, History and Ultimate Destiny of CAN DO! How Many Pieces of the CAN DO! 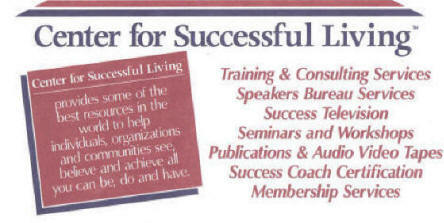 Ultimate Success Puzzle Are You Interested In? CAN DO! evolved out of several years of experimentation, primarily by CENTER SPACE (the Center for Spiritual, Personal And Community Empowerment) which helped launch and manage the evolution of CAN DO! as described in this newsletter clipping. The research and development process combined personal development and community development in Kankakee, Illinois, Muncie, Indiana, Gary, Indiana, Utica, New York and Nassau in The Bahamas. 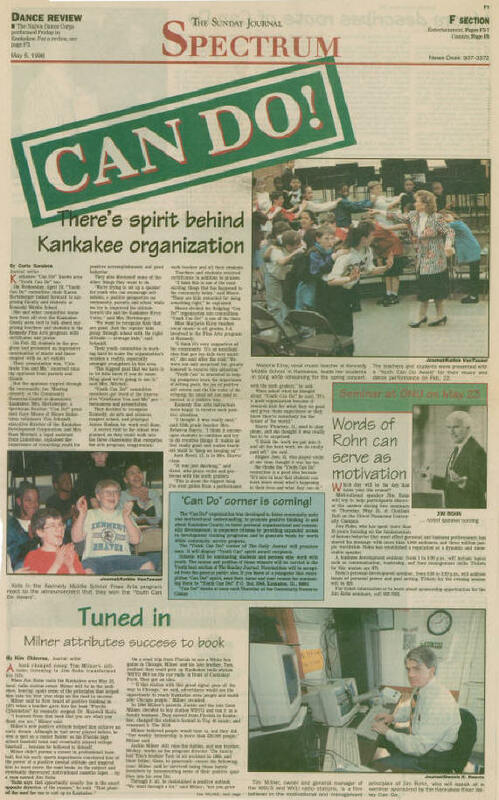 Below is just one of hundreds of positive newspaper articles and letters of support about CAN DO! and related programs and projects in nine states and three countries. Click Here for a list of the individuals and organizations we wish to thank and honor for their contributions, leadership and support. 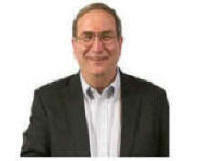 We especially appreciate Mr. Walter J. Charlton and Dr. John P. Grumish who have both been given the Ultimate Destiny Hall of Fame Award for their outstanding CAN DO! contributions. The purpose of this web site is to share how CAN DO! evolved and help anyone who is interested in discovering how you can do too! The web site resources are provided in the major categories of Personal Growth and Development, Organizational Development (which includes non-profit organizations businesses and churches) and Community Development. 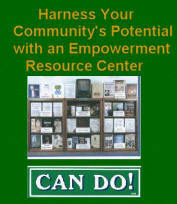 If you would prefer to learn more about CAN DO! by reading stories, we have a few of those too. For example, you might enjoy Together We CAN DO!, the Story of Norman Vincent Peale, Les Brown, Pretty Woman and the Chinese Bamboo Tree, The Art and Science of Community, Ultimate Destiny? Who Me? You've Got To Be Kidding! and A Lifetime In Pursuit of Community. We'll share with you a couple of the most successful case stories, the Community Resource Center in Kankakee, Illinois in conjunction with a Community Development Corporation and the Success Center Partnership in conjunction with a Public Housing Authority. We'll also share our vision of Expanding the Circle of Success, a project designed to provide expanded access to state-of-the-art development training resources to previously under-served populations. This includes our plans to serve as the catalyst for the donation of 100 million dollars of empowerment training resources through 10,000 locally initiated Empowerment Resource Centers™ and ETMS™, Empowerment Training Mentoring Systems™. Our campaign to Expand the Circle of Success will be launched in the third quarter of 2008 with a Request for Proposals (RFP). The RFP will invite potential community and organizational sponsors of an Empowerment Resource Center and or Empowerment Training Mentoring System to apply for a free donation of either program. The only investment the sponsors will need to cover is the cost of travel and training of the local CAN DO! Empowerment facilitator. This week long training-of-trainers will be provided at various locations across North America initially. our sponsors will invite a municipality to participate as a prototype. An example of the letter of invitation is provided along with an overview of how the projects are designed to become totally self-funding. Our rather ambitious goal for the 10,000 locally initiated community based empowerment centers by 2012 is based on about 30 years of "proof of concept" with previous award-winning models and prototypes that will be documented on this web site. And Community Empowerment); and the Center for Conscious Sustainable Living.